Description: These houses are very basic but very affordable especially for chins that love to demolish their houses, toys and accessories. It comes in three sizes, but can be made larger. The chin hut is the smallest size (6"), it works well for one chin, who enjoys a small space to hide and sleep. 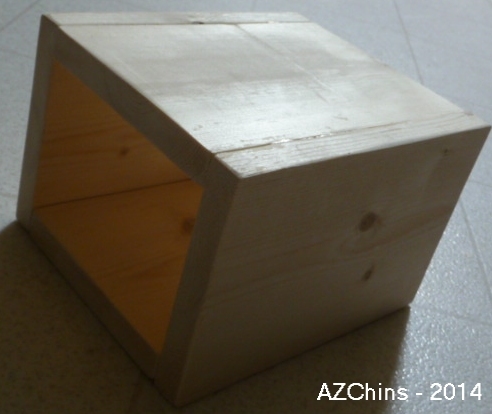 The chin apartment (8") can be used for one or two chins, and the chin house (10") is good for two chins at a time. The wood used is completely chin safe. There are no nails or tacks used in the construction of the houses, only non-toxic, safe white glue is used for any of the houses or toys we make.